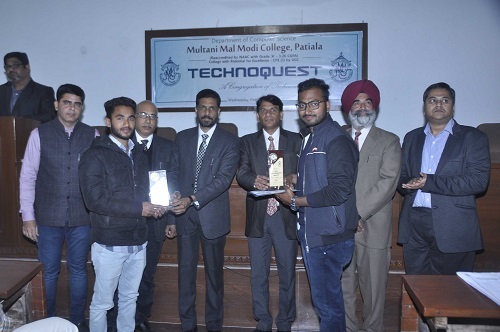 Technoquest-2018 an inter-institutional IT Fest was organised by the Department of Computer Science of M M Modi College, Patiala today. 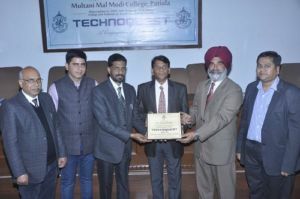 Dr. Neeraj Sharma, Professor and Head, Dept of Computer Science, Punjabi University, Patiala presided over the valedictory function. Principal Dr. Khushvinder Kumar welcomed the Chief Guest and participants from other colleges. He said that such functions provide an opportunity to showcase the technical skill which students develop during their stay in the college. Dr. Neeraj Sharma said that technical skills of the students improve their employability level and they contribute in the growth and development of the society. He congratulated the college for organizing such specialized functions. 495 entries were registered in 7 technical competitions. 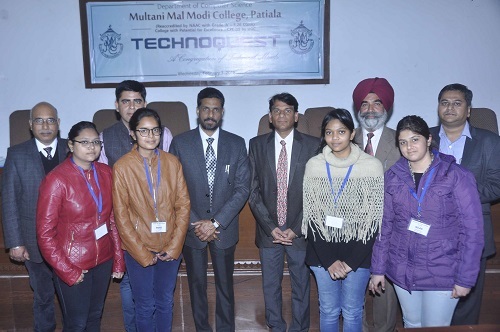 Students of 10 educational institutions including Punjabi University, Patiala participated in these events. Dr. R. K. Bawa, Dr. Dharamveer Sharma, Prof. Aman Sharma, Prof. (Mrs.) Neena Sareen, Prof. (Mrs.) Veenu Jain and Dr. Rupinder Singh acted as judges for Test your skills in C, Web Designing, Paper Presentation, Poster Presentation, IT Quiz, Spell Bee and Rangoli. 2nd Position: Pardeep Singh, Khalsa College, Patiala. 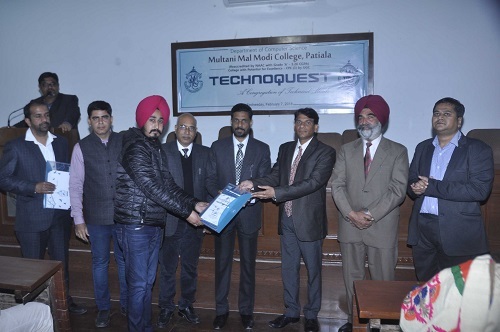 2nd position: Manpreet Singh Sandhu, M M Modi College, Patiala. 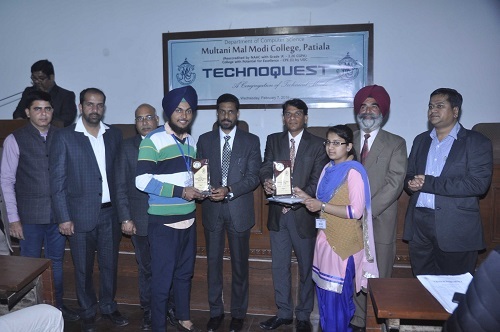 2nd position: Harsukhpaawan Kaur, M M Modi College, Patiala. Chief Guest gave away the prizes and certificates to the winners and participants. Mementoes were presented to the Chief Guest and Judges by the Principal. Vice Principal Prof. Nirmal Singh presented the vote of thanks. The stage was conducted by Dr. Ganesh Sethi and Prof. Harmohan Sharma. A large number of students and staff members were present on the occasion.